we have in export business over 16 years and cooperate with overseas customer for long time;we supply many stationery products at cheaper price and develop OEM products everyyear. 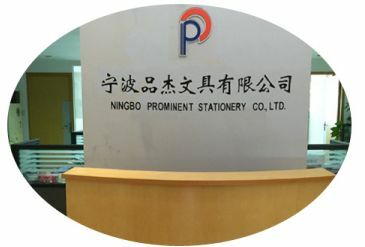 we are professional enough,carefully enough,helpful enough for my customers Ningbo prominent stationery co.ltd is a professional maker and supplier for stationery & craft items in China. With more than hundred kinds of different products supply to world customers in retail business, wholesale business and buying groups from more than 80 countries now. We are looking forward to cooperation with you soon.you can visit our website www.stationeries.cn for more information.